You are here: Home ->Frequently Asked Questions -> What is Acupuncture? Acupuncture promotes natural healing. It can enhance recuperative power and immunity, support physical and emotional health, and improve overall function and well-being. 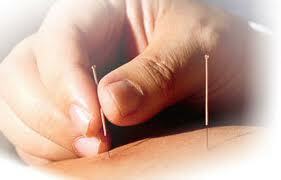 Most people associate acupuncture with pain relief. While acupuncture works very well for pain, it works for a wide range of other conditions as well. In fact the World Health Organization (WHO) recognizes over 40 conditions for which acupuncture is effective. A partial list includes allergies, asthma, nausea, IBS, tennis elbow, TMJ, sciatica, headache, migraine, dizziness, diabetes, back pain, arthritis and knee pain. Acupuncture and modern medicine, when used together, have the potential to support, strengthen and nurture the body towards health and well-being. During the treatment the thin needles are gently inserted at specific acupuncture points on the body along special pathways or meridians http://en.wikipedia.org/wiki/meridian_(Chinese_medicine). Once the needles communicate with the body and circulate a subtle energy called ‘Qi’ (pronounced Chee). This energy circulation stimulates the body’s natural healing intelligence to help restore and maintain health. The NIH Consensus Statement on acupuncture in 1997 noted that concepts such as qi "are difficult to reconcile with contemporary biomedical information but continue to play an important role in the evaluation of patients and the formulation of treatment in acupuncture. According to research, it is proposed that acupuncture produces its effects through regulation of the nervous system. It effectiveness in treating pain may be due to the release of pain-killing biochemical’s such as endorphins at specific sites in the body. Studies have also shown that acupuncture may alter brain chemistry by changing the release of neurotransmitters that affect parts of the central nervous system related to sensation and involuntary body functions, such as immune reactions and processes that regulate blood pressure and blood flow. For more information on scientific findings about acupuncture, visit the NIH web site for acupuncture and complementary medicine at www.nccam.nih.gov .